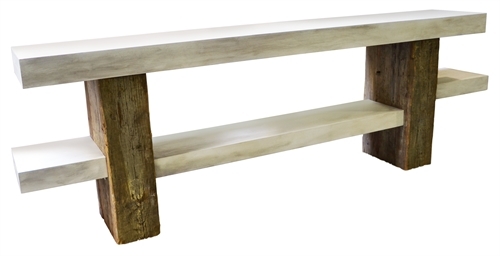 The Rustic Server is an original design by Joann Westwater. The piece is shown with vertical elements of old beams, and shelf surfaces in a complementary painted finish. 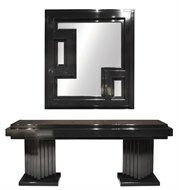 The piece can be custom made to your dimensions, and the wood finishes done to specification.